Hi there! 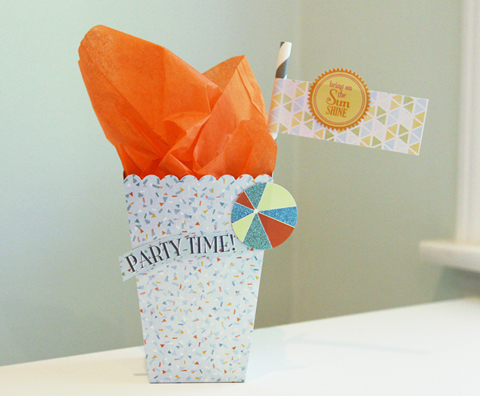 Stephanie here sharing a fun way to package your next birthday gift using the Club SEI May Paper Crafting Kit. I just love the boxes that come with this kit. They're small enough for party favors (perfect to hold popcorn or candy) yet big enough for a gift like jewelry, a small jar candle or gift card. No need for a die-cut machine, either. They're already pre-cut, so all you have to do is fold them up. I added a few stickers to the front, and a straw with a decorative tag adds a little extra flair. What have you made with your summer Club SEI Kits? We'd love to see what you're crafting! Feel free to leave a comment below.